Find your local Phonics Stars ™ classes. We provide weekly phonics classes with the emphasis on Phonics and Fun for Everyone! Please complete this short form and click send, and we will confirm your nearest classes. Note that classes are not currently available in all UK postcodes, but we will advise you of your nearest. Please contact us to book a FREE taster session with your nearest Licensed Class Leader. Optional if you have a few seconds to spare please – thank you! Where did you hear about Phonics StarsTM? How old is your child/ren? All information is kept fully private and confidential and we do not share it with any other parties. Contact Sam via Email sam@phonicsstars.co.uk or via her Facebook Page. Dulwich & Forest Hill and Chislehurst & Bromley Areas. Hello, My name is Faye Clarke and I am the licensed Phonics Stars™️ class leader for Portsmouth & Chichester. I live in Havant with my husband and two little boys. 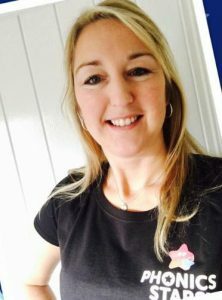 I have been a Primary School Teacher for over 12 years and have been working as part of the Senior Leadership Team for the past 5 years where, as the English Leader, I was responsible for improving reading and writing across the school. I am extremely passionate about children learning to read and write and believe that phonics plays a huge role in underpinning the skills needed to become independent in reading and writing. After having my son, I decided that I was ready for a new challenge! In becoming a licensed Phonics Stars™️ Class leader, I have been able to spend more quality time with my family yet still do something I’m extremely passionate about; delivering quality teaching to children. As a parent and experienced teacher, I understand that we always want to give our children the best possible opportunities to prepare them for their future lives. I also understand the ever increasing demands and expectations being placed upon young children throughout their school career. I truly believe that Phonics Stars™️ gives children a gentle introduction to the skills needed when entering school. It is not only fully linked to the Early Years Foundation Stage and Letters and Sounds, but is also packed full of fun, engaging and interactive activities which prepare children for all aspects of learning, and supports their physical, social and emotional development by learning through play. Contact Faye via Email faye.clarke@phonicsstars.co.uk or via her Facebook Page. 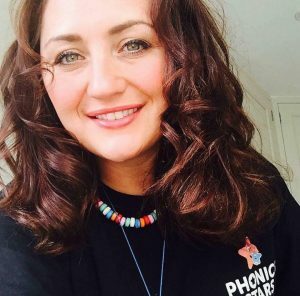 Hi I am Sam and I am the Licensed Class Leader for Phonics Stars™ in Colchester, Clacton & Harwich. I have been a qualified Early Years/Y1 teacher for over 12 years. As a Year 1 teacher I was responsible for ensuring that children had the knowledge and understanding to prepare them for the lifelong enjoyment of reading and for the Y1 Phonics Screening Check. I also delivered intervention support for individual children who found learning sounds and reading a bit tricky and supported teachers in their planning and delivery of effective phonics lessons. When I first discovered Phonics Stars™ I knew that this is what was needed, not just for children who found learning difficult, but for all children, to give them a head start in ‘big’ school. Phonics Stars™ classes, through a range of fun activities, also ensure that children’s fine motor skills are developed so that their muscles are strong enough for everyday tasks. Phonics Stars™ has given me a new challenge and a new career focus. It is hard work but is also exciting and so rewarding. For the first time in a long time, I am able to spend more quality time with my children and family. Phonics Stars™ believes in everything that I value in a child’s early education; presenting learning in a fun and playful way whilst building a child’s knowledge, confidence and self-esteem. Also importantly, involving and supporting parents so that they are encompassed in their child’s learning. Being a Phonics Stars™ class leader enables me to do something I truly love: giving children the skills to become confident little learners! Contact Sam via Email sam.ellingham@phonicsstars.co.uk or via her Facebook Page. Hi I am Jemma and I live in St.Albans with my husband and little boy. 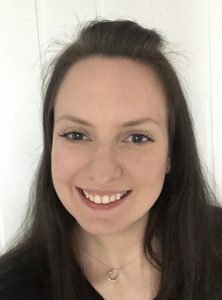 I have been a primary school teacher for over 8 years and have been working as an English coordinator and Early Years leader for the past 3 years. Both leadership roles have required me to monitor the teaching and learning of reading and writing across the school. I was responsible for overseeing the delivery of phonics within Early Years and Key Stage One. This involved supporting teachers to plan effective phonics lessons, leading teacher training sessions ,helping teachers plan interventions to support below age related children and carrying out observations. I’ve also lead several workshops for parents in order to develop their subject knowledge in phonics, letters and sounds. In the early years, it is important for children to not only begin to learn letters and sounds but to develop their fine motor skills which are essential for everyday tasks such as holding a pencil, using cutlery and fastening clothing. At Phonics Stars, we plan a range of exciting activities to build muscle strength, hand eye coordination and object manipulation. 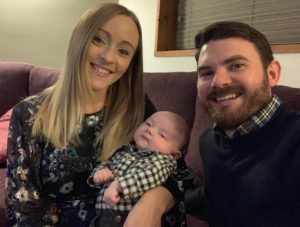 After 8 years of teaching, I fell pregnant with my little boy in 2018. While on maternity leave ,I decided that it was time for a new challenge. I felt that I needed to follow a career path that gave me flexible working hours and more time with my wonderful family. I believe that Phonics Stars provides children with a crucial head start to school life where expectations are getting increasingly higher. The sessions will grow children’s love for learning and most importantly we’ll have tonnes and tonnes of fun!!! Contact Jemma via Email jemma.eaglestone@phonicsstars.co.uk or via her Facebook Page. My name is Chloe and I am the Phonics Stars™️ class leader for Ruislip, Ickenham and Pinner. 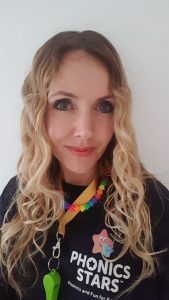 I am a Qualified Early Years Teacher with over 13 years experience teaching in and around London. I am also a Mum to Stevie who is 2 and a half. As soon as I first laid eyes on my daughter I realised I wanted to spend every possible moment I could with her, that meant it was time to hang up my full time teaching shoes. As any teacher will tell you teaching is a vocation, a passion, a calling. I knew whatever I decided to do next would have to still be involved in Early Years Education. I started to extensively research what I could do next. That’s when I discovered Phonics Stars™️. I can not tell you how excited I was and phoned the founder Samantha Baldwin immediately to book a time to come and observe a class. Sams enthusiasm for her classes was infectious, that was the moment I fell in love with Phonics Stars™️ and the rest as they say is history! Phonics Stars™️ classes are theme based, we focus on a different sound each week. As well as lots of sound work (recognition, pronunciation and formation) we also cover lots of other areas across the EYFS profile. As I said earlier I have taught in Nurseries and Reception class’s across London for over 13 years, so I can speak from experience that this is a fantastic programme that REALLY does promote school readiness. It has been proven time and time again that children learn best when they feel safe and secure in their environment. I strive to create exactly that every week when I deliver my Phonics Stars™️ classes. If someone was to ask me what the best part of my job was? My answer would be there are far too many to mention but watching my little Stars grow in confidence and knowledge week upon week would be up there at the top. I feel truly blessed to do a job that I absolutely love and am so passionate about, as well as that the cherry on the cake is that I get the time to spend these precious years at home with my little one. Contact Chloe via Email chloe.harding@phonicsstars.co.uk or via her Facebook Page. Hi, I’m Louise! I am the Phonics Stars™️ class leader for Bexley and Greenwich. I am a Qualified Primary School Teacher with over 12 years experience teaching children from Nursery to Year 6 in South East London. 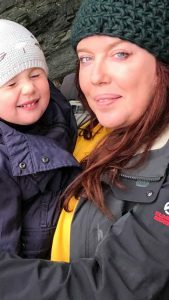 My career has taken me from an Early Years specialist teacher, to English, Music and Computing Leads at my schools, catapulting me into successful Leadership positions before having my daughter, Olivia two years ago. I was looking for classes for my daughter when I found Phonics Stars™️. My eyes lit up and my heart swelled, and I realised that this was going to be my next adventure. I contacted Sam, booked in for a day with her and signed up! Here I am today, one of the Phonics Stars™️ family. At Phonics Stars™️, we focus on a different sound each week with lots of sound work (recognition, pronunciation and formation). 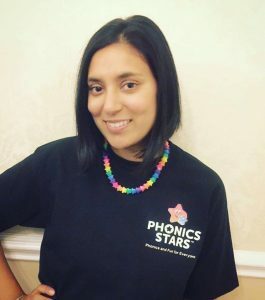 Having taught in Primary school class’s across London for 12 years, I can guarantee the Phonics Stars™️ programme gives children a real boost ready to begin their school journey. 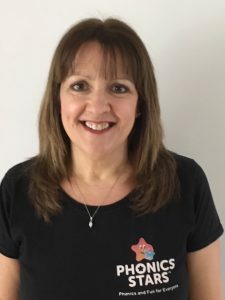 I can not wait to meet you and your little ones at a Phonics Stars™️ Bexley and Greenwich class soon! Contact Louise via Email louise.matthews@phonicsstars.co.uk or via her Facebook Page.